I am writing to complain about the repeated pattern of pro-Israeli bias on your newscasts. For example (this is one of many possible examples): this morning on _Today_ from 8 until 8.22a.m., you featured several voices on the Gaza situation - not one of them was a Palestinian, or a direct sympathizer with their plight. You DID give some airtime however to an Israeli citizen living in south Israel! We have heard HUGE amounts on your airwaves from these Israelis, who are suffering -- but they are suffering just a tiny percentage of what the Gazans are suffering! Is this, to coin a phrase 'proportionate'? Shouldn't we be hearing a lot more -- not a lot less -- from the desperate civilians of the open-air prison of Gaza, as compared to from Israeli civilians? Imagine the following parallel situation: In Zimbabwe, over 380 MDC people and civilians hemmed into a narrow strip of land in the country are killed as a result of government attacks; while 2 civilians in nearby Zanu PF areas are killed by the MDC supporters. Is it remotely conceivable that, in such a situation, the BBC would choose frequently (as this morning) to air ONLY a voice from the Zanu PF side, and no voice from among the MDC??! Please think about this! People are dieing in large numbers: your coverage is not helping them to live. PLEASE let us hear many more voices from the Palestinians, from the Gazans, from the ordinary people! There are now well over 380 Gazans killed, compared to 2 Israelis killed. Yet you persist in giving Israeli citizens MORE coverage than Palestinian citizens! Can anyone listening with an open mind avoid the conclusion that either (1) you value Israeli lives more, or (2) you are responding to Israeli 'flak' in a craven way, by trying to avoid generating further criticisms from their sophisticated 'media-attack' operation. I suspect that the answer is (2). But this is not acceptable -- it is not acceptable for the BBC to compromise its editorial values in response to pressure from a government and organisations working on behalf of this government. I look forward to understanding why you chose to run this morning's broadcast in the way that you did -- and, more than that, I look forward to never hearing broadcasts like that again! When one side in an absolutely patently-uneven conflict is suffering so extremely, I expect the BBC to manifest that in its coverage - from now on. Dr. Rupert Read, Reader in Philosophy (specialising in Social and Political Philosophy and Philosophy of Language) at the University of East Anglia, Norwich. As we go into 2009, here is my first campaign video! All welcome – stay as long as you are able. Ending the Working Time Directive Opt-out! The recent vote by Members of the European Parliament to scrap the opt-out on the Working Time Directive might sound distant to the concerns of people in the East of England - but Greens believe it was the right decision and that it will matter a great deal to thousands of workers and families. There are over 3 million people in the UK who currently work over 48 hours a week. Eastern Region has the highest proportion of such workers outside of London - about 15% of all people in this Region will be directly helped. The Working Time Directive still allows the flexibility to work over 48 hours for a proportion of the year. What it seeks to stop is prolonged periods of long hours, which UK workers carry out more than in any other EU country. Excessive hours can mean stress, anxiety and depression and increased health risks, such as cardiovascular problems (which affects 66,000 UK workers a year). Long hours can also impact on family life. It is astonishing that 2 out of the 3 Conservative MEPs for our Region voted to keep the status quo, the other abstaining. Having portrayed themselves as a more caring party, keen to support families, in reality when it comes to making decisions they revert to type and support the interests of big business over those of ordinary working people. If elected as an MEP for the Eastern Region on the 4th June 2009, I will continue to support measures that help workers and families. The Green Party has today demanded an end to Israeli air assaults on Gaza, and for both sides to stop the escalating violence in the region. Green Party leader and Member of the European Parliament, Caroline Lucas, said, "The Israeli action is clearly counterproductive to the prospects for peace. The population of Gaza is already suffering from the Israeli blockade, which has accelerated their decline into even greater hunger and poverty. Casualties among the civilian population only serve to make people more angry and sow the seeds for further violence." The United Nations office for the co-ordination of humanitarian affairs in the Occupied Palestinian Territories published a report on 17 December highlighting the plight of people living in Gaza as a result of the Israeli blockade. Dr Lucas also called upon EU leaders to consider suspending the EU Israel association agreement in the light of ongoing human rights abuses. "The Green Party calls on the British government to condemn the torture and prosecution of the Baghdad shoe-thrower, Muntadar al-Zaidi, and to demand his immediate release and the dropping of all charges against him. If Mr al-Zaidi feels it is no longer safe for him to remain in Iraq, we urge Gordon Brown to offer him political asylum in the UK," said Peter Tatchell, the human rights spokesperson for the Green Party of England and Wales, and the party's parliamentary candidate for Oxford East. "The overthrow of Saddam Hussein was supposed to usher in a new era of democracy and human rights. The torture and prosecution of the shoe-thrower is an ugly revival of the abuses that existed under the Baathist dictatorship. It is not what we expect in post-Saddam Iraq," added Mr Tatchell. Mr al-Zaidi is due to stand trial in Baghdad on Wednesday 31 December. "Mr al-Zaidi's protest was a courageous, symbolic gesture to challenge the US President's illegal invasion and occupation of Iraq, the mass civilian casualties caused by the war, the use of torture by US military forces and the US attempt to rip off Iraq's oil wealth. "His heroic action was in the fine traditions of the young men who burned their draft cards to protest against the US war in Vietnam and of the Black Power salutes by Tommie Smith and John Carlos at the 1968 Mexico Olympics in protest at the racist discrimination suffered by African-Americans. "Mr al-Zaidi's did not physically harm anyone or cause any damage  only embarrassment to President Bush and the Iraqi Prime Minister, Nouri al-Maliki. Causing embarrassment should not be a crime. To prosecute him for this protest is petty and disproportionate; unbefitting Iraq's new democracy," said Mr Tatchell. There is evidence that Mr al-Zaidi has been beaten in the face by prison guards, and his brother says that Muntadar has lost a tooth, has had ribs broken and has been burned with cigarettes. Mr al-Zaidi could face between five and 15 years in prison, under draconian Iraqi laws that echo Saddam Hussein's repressive tyranny. "I wanted to highlight my support for the show-thrower and to remind the government of its duty to defend human rights in Iraq. Maybe if enough of us do this and also protest in other ways, then the spotlight of publicity will shame the governments of Iraq, Britain and the US into treating this courageous protester more fairly and humanely." "Al-Zaidi's trial starts on 31 December. Let's give this courageous journalist a present for the New Year: let's keep this man, with whom so many of us sympathise, out of prison. The charges against him should be dropped. Given the physical brutality he has already suffered, Muntadar deserves his immediate freedom," said Cllr. Read. As we watch the Gaza bloodshed with horror, appalled at how the crisis is spiraling further out of control, one thing is clear -- this violence will only lead to further civilian suffering and an escalation of the conflict. There must be another way. Over 280 are dead so far in the Gaza Strip and hundreds more injured -- rockets are striking Ashdod deep inside Israel for the very first time, and the Israelis are mobilising for invasion. A global outcry has begun, but it'll take more than words -- the immediate violence won't end, nor will wider peace be secured, without firm action from the international community. After Gaza's bloodiest day in recent memory and eight or more years of ineffective US and global diplomacy, we need to get world leaders to do more than issue statements if they're to ensure a lasting ceasefire.1 Through the UN Security Council and other international bodies, the world can provide the help and pressure needed to stop the violence and change the situation on the ground in Gaza -- preventing the rockets and incursions, re-opening crossing-points under international oversight so that instead of weapon-smuggling, the 1.5 million ordinary people of Gaza can get the fuel, food and medicines they so desperately need. All sides to the conflict will continue to act as they have in the past if they believe that the world will stand by and allow them to do so. We mobilised for a ceasefire in 2006's Israel-Lebanon war and succeeded, but this time the international community must not delay -- let's raise a truly worldwide outcry. 2009 is a year that things can be different. As we face this crisis, and the possibilities of a new year, it's time for us everywhere to work together to stop this violence. Could the First Bus service from the Earl of Leicester into the city centre here in Norwich now be the most expensive in the country, mile for mile? First blamed the high price of fuel for the August fare rises and I am somewhat astonished by their refusal now to review fares following the huge fall in fuel prices. Both myself and my wife hold Oyster cards and use these every time we visit London. A single bus journey in London is £1 with the card and the same "ticket" can be used with any bus company. Why can't we have something like that in Norwich? I wish the new boss of FirstBus all the best in his new Job, but I also call for his 1st act to be a significant reduction in the fairs to help struggling families. In the longer term, behaviour like this (keeping their prices up, when fuel prices plummet) on the part of First only increases the pressure for implementing Green Party policy - the re-regulation of the buses, the taking of them into public control once more. If companies like First behave like this, then we can only get justice and a decent service for the people of Norwich by having democratic control over this vital public service - public transport. I am now going to email Bush and Brown, and let them know WHY they are getting old shoes through the post from me (also so that their postal staff know to expect them... and maybe a lot more besides just mine, if the idea picks up steam!). Door To Door in Chelmsford! Here's a nice shot of my visit to Chelmsford to help the local Green Party with European Election Campaigning. We had a very productive day and I'd like to thank everyone involved for their efforts! Green Councillors across Eastern Region are calling for a package of measures to help people beat the economic crunch, widely expected to be hitting hard in 2009. Councils can take steps to help householders and businesses both directly, and indirectly through better advice on energy saving. Greens are proposing a ten point plan for 2009. "The Green New Deal, which Green Party Leader Caroline Lucas helped to develop, offers a substantial and realistic way of helping people through hard times whilst at the same time helping to tackle the big environmental issue of our day - climate change. The incoming new US President is proposing a similar approach. Yet the UK Government's focus appears to be a short term spend-now-pay-later policy which will take the UK's finances into even more dangerous territory. Trying to get people to spend more in the shops on the back of a VAT cut will result in more imports due to the UK's manufacturing base now being so small. The Greens want to see real long term investment in our communities, to help local shops and businesses, lower people's energy bills and make public transport better and cheaper. These are sound, substantial measures to help build a more sustainable future - good for the environment and the economy." Councils to broaden their assistance to households to secure better insultation and to help generate their own green energy with the aim of curbing fossil fuel emissions and lowering bills. Councils to provide more allotments so that more people can grow their own low cost healthy local food. Councils to use planning powers to help secure more affordable housing and develop premises for local manufacturing, particularly in redeveloping vacant previously used sites - this will boost local jobs. Transport authorities to work with bus companies to improve services and lower fares, giving people more choices to using cars - this will lower pollution and cut fuel bills. Councils to review their own energy use and invest to save by using timers and sensors to switch off lights and appliances when not in use - this will help to lower Council Tax. Councils to expand recycling facilities to allow more people to recycle more things. Better recycling will cut landfill tax costs and stave off ill-conceived plans for highly expensive, polluting waste incinerators. Better advice to householders to help them save quickly and simply on electricity bills, such as by fitting low cost sensors on outside lights so they are only on when needed. Highways authorities to invest more in walking and cycling schemes so that people do not need to use their cars so much on short journeys - this will also help people save on fuel bills. Education authorities to make it much easier for school children and college students to access public transport, wherever they live. This will cut the school run, curb congestion and lower fuel costs for motorists. Councils to do whatever they can, including working with holding companies, to keep rentals on local shops, pubs and post offices as low as possible. We can win at the Euro elections! As the year comes to an end, thoughts turn to politics in 2009. The next big electoral test for the Green Party is in less than six months - the European Elections. Proportional representation at this election means that every vote counts. To get our region's first Green MEP we need only win over a few thousand voters from each of the LibDems, Labour and UKIP. In total we should only need 10% of the vote. It is that simple. We are looking to gain votes from all sides. We expect to win a lot of votes that the LibDems got in 2004 - we have come a long way in this region since then, and they have slipped back. But we also expect to take Labour votes, with the government unpopular and partly responsible for a dreadful recession. Conservative-leaning voters who actually want to CONSERVE things -- rather than to rip up the countryside and pollute the wholoe country, as Conservatives do when they are in power -- would be well-advised to support us...and UKIP won two seats last time! We are aiming to take at least one of those. 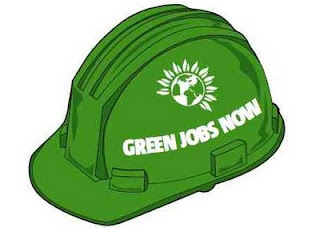 The key issue for me is the need for a 'Green new deal' - a green jobs revolution to stabilise the economy, stop the spectre of mass unemployment, generate long term savings (on fuel, for example), and help our environment in the process. We will also be talking quite a lot in the campaign about British Green Party MEPs' strong record on ethics and integrity, how to end the wasting of time and money in Strasbourg, and the scandalous amount of corporate lobbying in Brussels. I will be visiting Chelmsford tomorrow, on Saturday, 20th December. I will arrive at Anchor Street, Old Moulsham, at 2.30 pm and will be canvassing along roads in that area. I will be pleased to explain the Green Party's policies on Europe and on much more besides, and answer any questions. which side are you on? Are you on the side of big corporations profiteering from completely unsustainable climate-destructive behaviour? Or are you on the side of people with no vested interests just making a non-violent stand, at considerable cost to their own time and money, for the sake of all our futures? Green Party Councillor, Norwich, and Lead Candidate for Eastern Region for the Greens in the 2009 Euro-elections. The economic crisis is starting to hit people all over the East of England, and all over the world. But those in the 'developing ' world are especially vulnerable. With developing countries refusing to sign up to the World Trade Organisation's 'neo-liberal' agenda, that would see their future unfairly sold off for the profit of European businesses, the EU is now bypassing multilateral trade talks and instead is bullying poor countries and regions into trading with it directly. The EU forces unfair conditions on developing world farmers and suppliers that will ensure they stay in poverty just so that the West can have cheap goods, even they are low quality and produced on the back of misery. However, the current evidence is clear: Neo-liberalism has failed. The world fashioned from the unscrupulous depths of Thatcher and Reagan economics has come crashing down. People around the world, from Nairobi to Norwich, are realising that another world is possible. Free trade has made the poor poorer, concentrated the global wealth into fewer hands and made made sure perpetual poverty shrouds developing world farmers and producers. We in the Green Party support Fair Trade over 'Free' Trade. With 'Fair Trade', producers in developing countries are guaranteed a fair wage for their produce and decent conditions in which to work. It offers those that work hard the chance to lift themselves out of poverty. This is right, and that is fair. It is inspiring to see how we can make a difference in an everyday way for people in the global community. Through Fair Trade, we can all make a difference and guarantee a better deal for third world producers which, ultimately, benefits us all. As a Green Party MEP I will support Fair Trade against aggressive multinational supermarkets and unfair trade deals in the European Union. In this season of goodwill, we need above all to show goodwill toward those over whom we have economic power, and who we can therefore help the most, by treating them fairly. 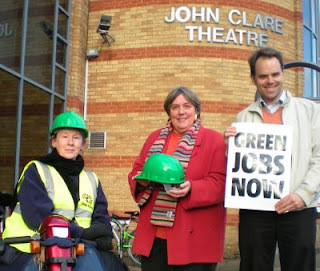 Here I am pictured with Di and Sally, two Local Green Party activists, outside the John Clare Theatre in Peterborough, where I addressed the Eastern Region PCS Union as a plenary speaker. Click here for more on the event. Environmental NGOs in the US had hoped - against the odds - that President-elect Obama might defy convention and turn up at the Poznan conference this week to tell the world in person that the US would soon be doing everything in its power to combat the increasingly dire threat of climate change. That's not going to happen; but Obama did ask John Kerry, who is leading the US Senate's delegation in Poland, to be his ears and eyes, if not his mouthpiece. Kerry is certainly keen ("We intend to pick up the baton and really run with it here"), and no doubt he'll be doing a lot of behind-the-scenes reassuring. But there's something extra - and hugely important - that he could get sorted too. All the discussions in Poznan are based on the scientific consensus that emerged at the end of 2007 from the fourth assessment report of the Inter-Governmental Panel on Climate Change. That consensus was hammered out between the scientists and the politicians as "the best available deal", reflecting both the political realities of world powers at that time, and the work done by more than 2,500 scientists between 2000 and 2005 - the cut-off year for the IPCC's rigorous peer-review process. And that's the problem. A lot has been going on out there in the natural world since 2005. There is three years' worth of published peer-reviewed evidence, a lot of it from the frontline of the eco-systems most directly affected by climate change. Those whose job it is to take account of all that new evidence (universities, thinktanks, government departments and so on) have a common message to pass on: the vast majority of those studies tell us incontrovertibly that the impact of climate change is more severe and materialising much more rapidly than anything reflected in the fourth assessment report. It's much worse out there, and it's getting even worse even faster. This presents a paradoxical challenge for national delegations in Poznan. Even if they wanted to draw on that new evidence base to justify more progressive policy positions, they would technically be out of order. This is particularly surreal in terms of all the evidence coming in from the Arctic, which has seen a 4deg. C rise in average temperatures over the past few decades. Arctic sea ice reached an all-time low in 2007, the Greenland ice cap is undergoing accelerated melting, and there are growing worries about the melting of the Siberian permafrost, which has the potential to release huge volumes of extra greenhouse gases into the atmosphere. It's this kind of evidence that has persuaded Nick Stern that his own 2006 report on the economics of climate change got it wrong ("We underestimated the damage associated with temperature increases, and we underestimated the probability of temperature increases"), and has led Jim Hansen, the US's pre-eminent climatologist, to warn that the current target for stabilisation of CO2 at 450 parts per million in the atmosphere is woefully inadequate. There is a growing school of thought that 350ppm represents a far more realistic safe upper limit - which is more than a little problematic, given that the concentration is already 384ppm. The Poznan Conference will, of course, be buzzing with all this - but government delegations will be obliged to stick with the IPCC's painfully negotiated 2007 consensus. So here's the brief for John Kerry: suggest on behalf of the US Senate that the IPCC should be reconvened as early as possible in 2009 to undertake an emergency review of all the science that has emerged since 2005. It should be asked to report to the UN by the end of June, giving just enough time to inform the debate about appropriate policy responses before the Copenhagen conference in November. Totally unrealistic? That depends how seriously Obama and other world leaders take the threat of climate change. But surely it could be done. If multibillion-dollar rescue packages can be put together at the click of a finger in the wake of a banking meltdown, why shouldn't politicians press the panic button in response to a threat that is infinitely graver than that? Some businesses and individuals have suffered inconvenience due to having their flights disrupted this morning. But this was a brief, peaceful protest aimed at making a very strong statement against the expansion of Stansted Airport, an expansion which huge numbers of people in this region do not want. The local authority in Uttlesford has courageously tried to prevent Stansted's expansion, as have many other local authorities; the local group Stop Stansted Expansion have campaigned for years - but the Government are riding roughshod over all of them. The entirely peaceful protesters on the runway this morning are therefore having to make a stand to say No to a second runway at Stansted - and raising awareness of the double standards of the Government allowing another surge in greenhouse gas emissions whilst simultaneously bragging about their policies on manmade climate change. I (in line with Green Party policy) have always supported peaceful direct action as a last resort to prevent greater wrongs I and will continue to do so where and when it is justified - which in this case it is. Tess's bit is at 1 hr 06 minutes, which is in the middle of the song, and then it's her next. That's me, 2nd to left! Local phone mast application turned down! We have just learned this morning that the phone mast application for Guardian Road (the Outer Ring Road), West Norwich, in my ward, an application that was opposed by several hundred people who signed a petition against it, has been turned down by Council officers. Are we going to avoid the dreadful effects of a major recession? Then we need banks to lend at low interest. Brown 'demands' that the banks pass on the full B of E interest rate cut yesterday (http://www.bloomberg.com/apps/news?pid=20601102&sid=arNy9a8HuO7Y&refer=uk ) : but he is not in a position to DEMAND anything, because the banks are being run at arms length on a purely 'commercial' basis. I.e. They haven't really been nationalised at all. Our taxpayers' money is propping them up, and we are getting nothing in return -- no executive representation on the board, even. This is unsustainable. The government should have the courage to cut to the chase now - and nationalise the banks properly, before we find ourselves in a Depression. Only when the banks are in the hands of the government can Brown actually DEMAND that the banks pass on the interest rate cut, and see off the spectre of Depression. This is a great Party Election Broadcast from 1999 - Remember to vote Green on June 4th 2009! The recession presents a threat to us all. The Green Party would tackle this threat through tougher action to regulate the finance sector and through a massive job-creation programme in renewable energy, public transport, sustainable local farming and other sectors of the 21st-century green economy [see posts on this, below:]. Our Leader, Caroline Lucas, has joined with the UK's leading green economists to propose a 'Green New Deal' that will stabilise the economy and boost employment. We as a society can only make real progress if we grasp the opportunity provided by this historical juncture to move away from a culture of debt-sodden materialism. Jobs and local economies would be far more secure if we replaced the mountains of 'cheap' imports with locally made goods that we genuinely need. A recession shows us all the importance of preserving resources: consuming less fuel, saving on heating bills, minimising damage to our shared environment. Let's stabilise the economy, and end the cycle of boom and bust forever, by settling on a level of economic activity that meets our needs without squandering resources. The threat presented by the recession is stark, and we in the Green Party fully recognise that. And that's just why we all need to learn the lessons and create a stable and sustainable economy for the future. I'm speaking at the annual general meeting of the Eastern branch of the Public and Commercial Services Union (PCS (1)) on Thursday December 4th. I will be addressing the event in Peterborough (at the John Clare Theatre, on Broadway, at 1.30pm) as a plenary speaker. I've been a Trades Union activist for 20 years including (most recently) in the University and College Union at the University of East Anglia. If elected as an MEP for the Eastern Region in the European elections in June I will be a firm defender of workers' interests. The Green Party, as a staunch defender of social justice, recognises the important role unions play and strongly supports the right of UK workers to receive fair and equal representation in their negotiations with employers and their organisations, and to take industrial action when their rights are threatened. We are at present working with Unions in trying to ensure the right of unions to have workplace environmental representatives. (2) We believe that the close relationship between New Labour and the Confederation of British Industry (CBI), a lobbying group representing commercial interests, undermines New Labour's commitment to workers' rights. And we recognise that the UK lags behind all other EU countries in protecting workers' rights. No other major party in England & Wales offers policies as attractive to unions and union members as the Green Party. What workers need right now is good sustainable jobs. The government ought to be investing massively in creating green jobs, right now. The pre-budget report was a huge disappointment. The Green Party will keep working hard for green jobs: If elected next June I will work with Green Colleagues in the European Parliament to press for investment to generate millions of them! (1) The PCS is the fifth largest trade union in the UK, with over 300,000 members. It represents civil servants and others employed by government agencies as well as private sector workers, mostly in industries that have been privatised. Wensum ward Councillor and Green Party candidate for Eastern Region in the 2009 European elections Rupert Read will join a protest on December 6th against the proposed destruction of Bintree Woods. In February 2008 Norfolk County Council, in partnership with the Forestry Commission and local landowners, proposed the conversion of 1.7 square miles of land around and including Bintree Woods into the largest combined gravel extraction works and landfill site in Europe. Bintree Woods includes a conservation area within its boundaries, is home to abundant wildlife and abuts the Wensum Valley, a Site of Special Scientific Interest. It is an important and beautiful recreation area and occupies a highly visible position elevated above the surrounding farmland. Norfolk county council will decide in January whether to set in motion the process of seeking planning permission by including Bintree on its list of 'preferred' sites for gravel extraction. As part of a vocal ongoing campaign to save the woods, local residents and supporters will hold a walk through them on December 6th. It is timed to coincide with the Center for International Forestry Research's second World Forest Day in Poznan, Poland, which will bring together policy makers and agenda setters to draw attention to the links between forests and climate change. "Bintree Woods must be saved for us and our children and their children to enjoy. The Green Party is 100% committed to conserving our countryside, rather than consuming and destroying it. I am proud to have been invited to join the local people in celebrating these woods this weekend, and am looking forward to this walk immensely. It will be good to be walking at the same time as people all around the world are walking in defence of similar woods and forests, which are our great joy and our greatest defence against the threat of climate catastrophe." The Green Party is strongly committed to protecting British forests and increasing the area of forest in the UK from the current level of 8% to around 25%, bringing the UK into line with other European countries. The Greens also aim to increase control over forests by local communities by encouraging the creation of 'community forests' managed by local committees or community associations. Now here is an interesting story: Some local folk are being prosecuted in Ipswich this week for allegedly trying to prevent the use of cluster bombs -- in the very same week as the world looks set to ban cluster bombs (treaty-signing due on Wednesday)! Tomorrow is the big day in court, when the accused bring in their expert witnesses. Note also that one of these good people, Margaret Moss, allegedly did the action, despite being terminally ill. Completely separate to the current court case, I carried out a non-violent protest IN THE HOUSE OF COMMONS CHAMBER on the issue of cluster bombs, FIVE YEARS AGO, WHICH LED TO ME temporarily STOPPING DEBATE, BEING DETAINED, and GETTING SCARRED ON MY WRIST (it's a small scar, but I can still see it...) from where the Sergeant at Arms and his men dragged me out of the Public Gallery... See a news story about this at the time, here: http://australia.icbl.org/memoranda/Memorandum%2065.pdf [See page 4]. A court case has started this morning in Ipswich and will go on this week over the next few days, to consider charges under the 'Serious and Organised Crime Act' following a demonstration at Lakenheath two years ago. Eight protestors allegedly blockaded a compound in the base where cluster bombs were being stored, with allegations that these were ready to be dropped on conflict zones in the Middle East. "Cluster bombs inflict injuries and deaths indiscriminately, often long after their use, which is why they are illegal under international law. It is alleged that the US military brought these bombs through local bases without permission of our Government, which then hushed-up the ensuing row. "The British authorities appear to have over-looked the irony that this week (1) over 100 countries are meeting in Oslo to sign a Treaty outlawing possession and use of cluster bombs. "We need to ask "Who are the really serious criminals?" when it comes to the manufacture, trading and use of horrendous weapons such as cluster bombs." Notes: (1) Convention on Cluster Munitions Signing Conference - To be held on 2–4 December 2008. Heads of State, Foreign Ministers and senior government representatives from over 100 countries are gathering in Oslo to sign a worldwide ban on the use, production, transfer and stockpiling of cluster bombs. It will be the most significant humanitarian and disarmament treaty of the decade. 1. 2. 3. Rupert's Read: December 2008 4. 12. 15. 18. 19.